If there was a competition for dog with the best facial hair, the Bouvier des Flandres, also known as the Belgian Cattle Dog, would be a strong contender. It’s one of their most notable features! This breed sports both a mustache and beard on their large head and wide muzzle. This big, fluffy dog was bred to herd cattle, and they certainly have both the strength and energy for the job. 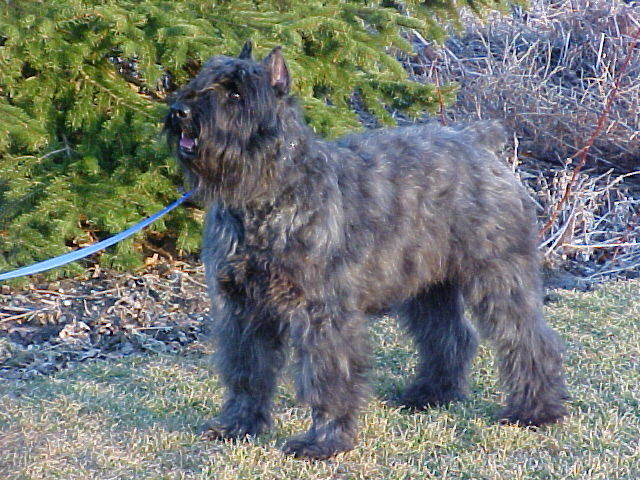 The neck of the Bouvier des Flandres widens into their strong shoulders, giving this blue-collar dog a regal appearance. They have a muscular, short, broad back, and both their forequarters and hindquarters have strong muscle and bone structure. 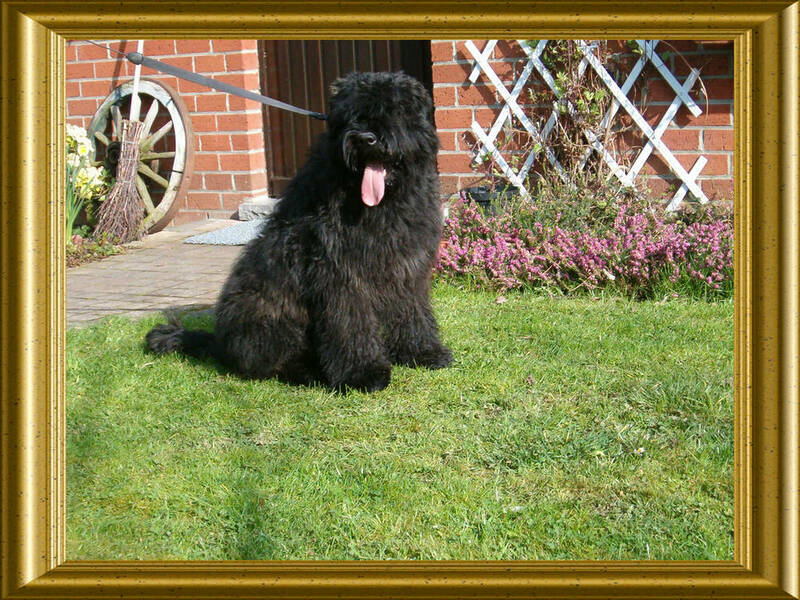 The Bouvier des Flandres has naturally V-shaped ears, but they are often cropped to stand up and come to a point. The tail has also been traditionally docked to better suit their working lifestyle. They have a weatherproof double coat that consists of a soft, dense undercoat and rough outer coat. 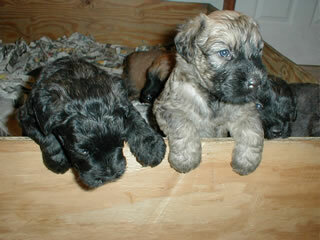 They come in a few different colors, including fawn, grey, black, brindle, or salt and pepper. 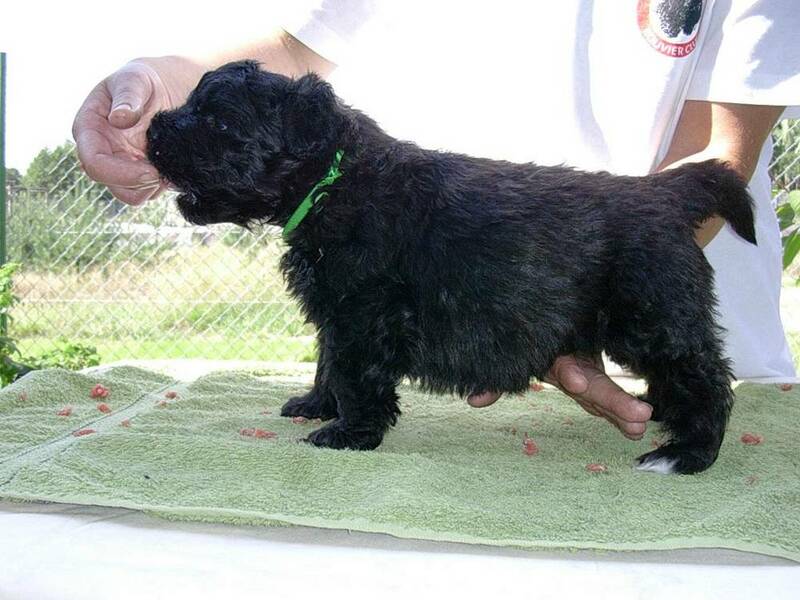 Height (Male) 24 - 28"
Common Misspellings Bouvier des Flanders, Bouvier de Flandres, or Buvier des Flandres. They are excellent watchdogs and get along well with children. 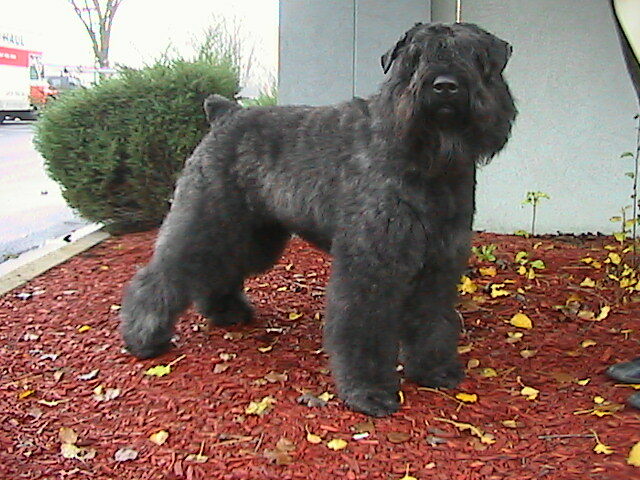 The Bouvier des Flandres is very protective of their family, so they can sometimes be wary of strangers. 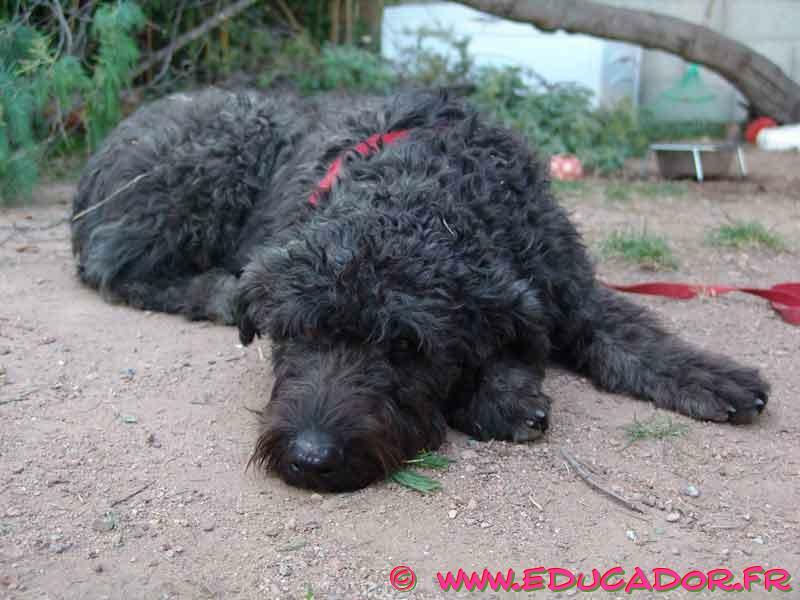 With Bouvier des Flandres puppies, obedience training and proper socialization can help counter future dominance issues and help them be more accepting of other pets. Since they are a herding dog, they have plenty of energy, and they love to channel that energy into some sort of job. They make excellent herders and trackers, and they have even been used as therapy dogs. Without daily physical and mental exercise, this dog may become unruly. 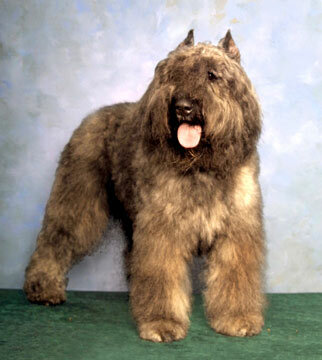 THe Bouvier des Flandres dog has quite a bit of hair to maintain! To keep their coat free from tangles and mats, regular brushing is required, but bathing this breed is only recommended if they are dirty. Their thick, fluffy coat also needs to be trimmed three times a year to keep it from getting too wild. They grow quite a bit of hair in their ears and between their toes that needs to be trimmed more frequently. Dropping this dog off with a professional groomer is never a bad idea. 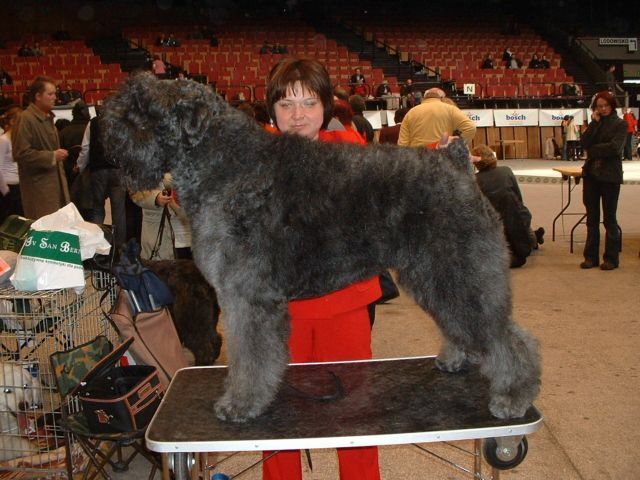 The Bouvier des Flandres is susceptible to the same health issues that plague other large breeds, including canine hip dysplasia, glaucoma, elbow dysplasia, and, occasionally, hypothyroidism. 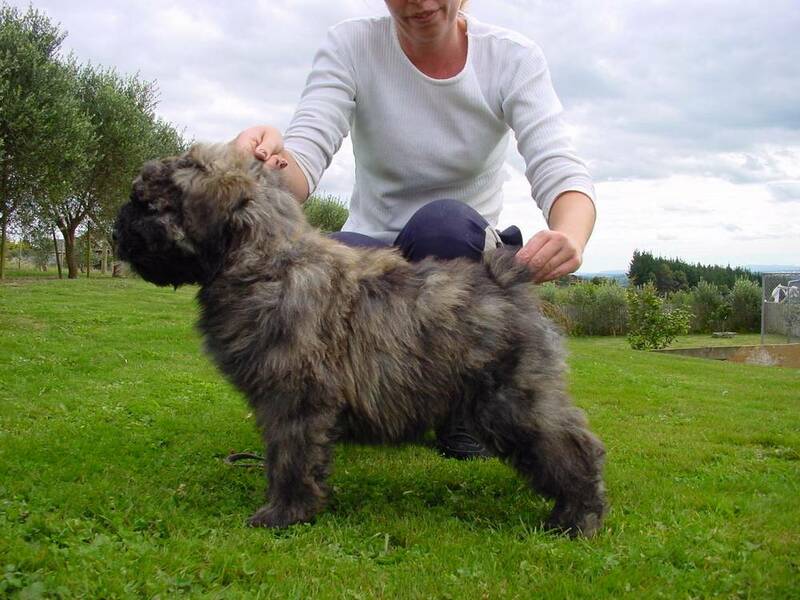 Developed in the farmlands of Flanders in southern Belgium, this breed is the result of crossing the Berger Sheepdog, Barbet, and Dutch Griffon. After faithfully serving Belgian farmers as watchdogs, herders, and draft animals for hundreds of years, the first breed standard was finally drawn up in 1912. As discussions were still going on about what exactly the breed should look like, World War I broke out, turning their native home into a battlefield. During the war, some of the Bouviers worked as military dogs, but the majority of the breed was wiped out. Some Bouviers had made it to France and the Netherlands. 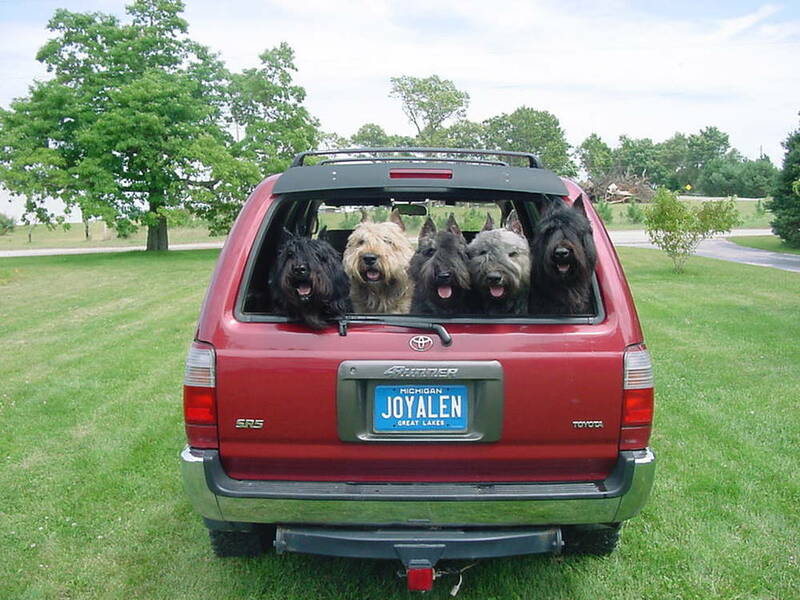 In order to save the breed, these dogs became part of a selective breeding program, and in 1922, the Club National Belge du Bouvier des Flandres was formed in Gent. 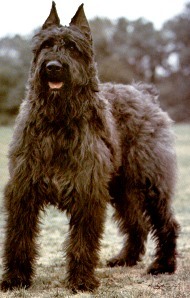 The Bouvier des Flandres was introduced to North America in the 1920s. A decade later, it was recognized by the American Kennel Club. This breed was threatened with extinction yet again in World War II. 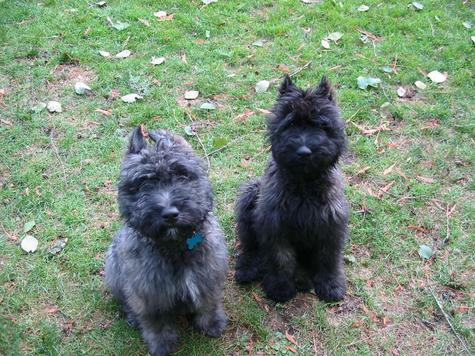 Allegedly, when Adolf Hitler was looking for an official guard dog, the Bouvier was presented as an option. When Hitler met the dog, it promptly bit his hand! 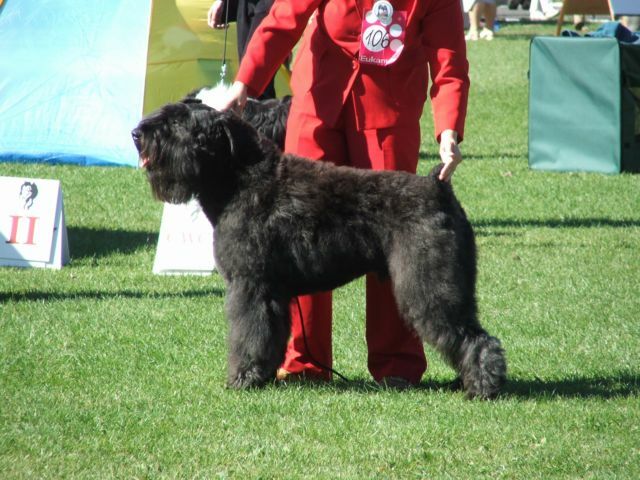 Hitler ordered the breed to be wiped out, but the Bouvier des Flandres still flourishes to this day. 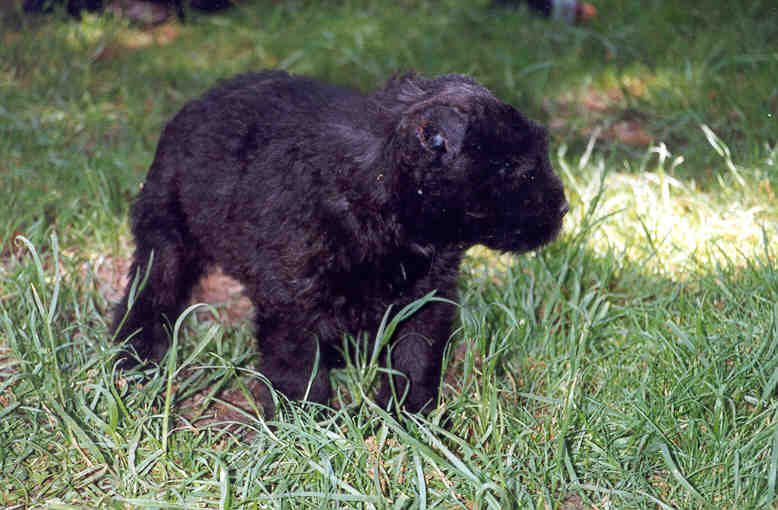 Although not a staple of farm life any more, the Bouvier des Flandres is still used as watchdog and loyal family pet.